Quite often, homeowners write or e-mail us about how pleased they are with their newly installed windows and/or doors. Because we believe in building relationships with our customers, we find that our projects are more successful, our clients are happy and our employees can be proud of where they work. Replaced all of my windows and front entrance with high-impact glass and doors. It was a wonderful experience, from the minute that Peter Merhige gave us the sales pitch (he was extremely knowledgeable on high-impact solutions) till the guys from Polusa construction finished the installation. The Polusa crew showed up on time, were very professional, cleaned up after themselves, and did a fantastic job getting the windows and doors to fit. We would highly recommend these folks to anyone! Replaced all jalousie windows and slider with top of the line impact double hung windows. Twenty inoperable jalousie windows are now gone! Pete took time and demonstrated all of the benefits of the state of the art residential windows that he offered at the cost of the contractor grade lesser quality windows. His winning personality and great support staff made working with affordable a no brainer! Custom built for my home, whereas all other companies I interviewed wanted to customize my home to their windows. I'm still in awe of double hung windows at single hung improvement store prices! My affordable window experience simply put, I don't think I could afford not to have them! Affordable contracted Polusa out of Sarasota to do the actual installation. Nascar pit crews could learn from this team! Never an idle hand, one continuous fluid motion of quality workmanship! Each team member inspected each other's work and if anything, even the most minuscule error was spotted, ten hands were there to remedy the situation. I know this review is supposed to be about affordable windows and it is!! Who they contract to do actual installations is just as important as the superior products they sell. Affordable windows customer service is 2nd to none as well. Even after all work was completed they still are as considerate and helpful in remedying issues caused by other contractors. Replaced old outdated windows (1978 home) with hurricane impact windows. Total of 15 windows and one garage side door. 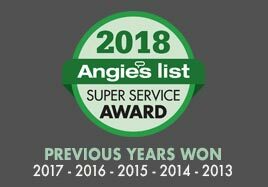 I researched very thoroughly on Angie's list and selected Affordable Windows to do the work. Peter Merhige was very knowledgeable and likable and he proved to be an excellent choice. Affordable Windows applied and got the required permitting. They told us that Greg from Polusa Construction Corp would be here to do the final measuring and subsequently the install. We were given a date for the install and that day, the team arrived about 9:30am. There were four men in the team led by Greg and they were an outstanding team. They set to work immediately and each man knew his task and was an expert at it. We were lucky to have them working for us. By about 4:30pm they were finished. No tiny detail was missed. Everything was left immaculate. All furnishings had been covered carefully before they started work. Despite taking on such a huge task and getting professionally completed in one day, they then asked if we would like assistance with any furniture etc… my husband is disabled and was not well on the install day and they worked quickly to let him get back to bed and cozy. They also removed some old hurricane blinds which had been taken off the house prior to their arrival. This relieved the stress for me as they were heavy and awkward to handle. Zero was charged for this extra work. Greg then arranged for the lee county inspector to come and check out the installation. He asked when we would like to have the inspection and I replied ASAP. The next morning the inspector came and remarked what an excellent job had been done. They have been very attentive with any issues and have corrected to my satisfaction. We had a window that was mis-measured and they knew that I was traveling and went far beyond what I ever expected and got the new window installed before I went out of town for two months. 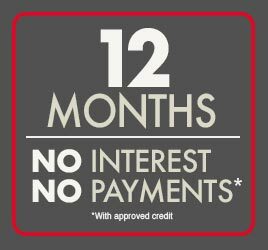 Their installers and office staff and peter are all very knowledgeable, professional and polite. We are more than pleased. All new hurricane resistant windows/screens; broke through concrete wall to remove two windows and install 9' sliding door; removed exterior door, filled in the hole, dry walled and matched texture of wall; removed interior door, dry walled hole and matched texture of wall; completed all finishing work; vacuumed inside house and swept outside removing all debris. Everything went extremely well. Excellent work. They offered a 100% satisfaction guarantee where they would not deposit the check until I was completely happy. Something that’s unheard of today. Great company. Replaced all 8 windows in our twin villa with hurricane impact windows. Everything went great. We had an in-home visit with the owner peter m. In late February and followed up with a showroom visit to see all the different options offered the first week of March. We signed a contract at the showroom with an estimated installation of 4-6 weeks after the arc of our home owners association approved the project. Unfortunately, the project was delayed a few weeks as we had to wait for the April ARC meeting to get approval. After approval in mid-April the installation was completed on May 23 within the estimated time range of 4-6 weeks. The installation crew consisted of three individuals and they were very professional, friendly, and efficient. They completed the 8 windows in one day. The installers were very conscientious with everything they did and did a great job on the clean up as they progressed from one room to the next. We found no damage to the interior paint and only a few nicks on the exterior that will require minor touch up on three windows. Prior to selecting affordable windows we had two other estimates from local companies and i spoke with 3 other companies at local home shows during the past year. We found the pricing competitive but affordable was not the lowest estimate we received. However, I felt the product was the best in our price range. We purchased twelve (12) insulated, low e, impact windows from affordable window systems, inc. The people who installed the windows were very professional. They did an excellent job and cleaned up the mess when they were finished. The owner of the business, Peter Merhige, came to our home and made the presentation. I was in the middle of a plumbing project with my next door neighbor helping me and peter waited patiently for almost an hour until i was finished working on our plumbing to make his presentation. We wanted to see the actual window before we made a decision, so peter invited us to his showroom to see all of the available windows he sells. After seeing all the different windows, we decided to purchase a more expensive window because the quality was so much better. The people who installed the windows, Polusa Construction Corp., were very professional and some of the hardest working people I have seen. They finished the job ahead of schedule, with minimal damage, and cleaned up the mess when they were finished. Our insurance company wanted us to take pictures of the windows so I took the pictures and since I do not know how to download them on the computer and email them, Cathie Leslie at Affordable Windows volunteered to e-mail the pictures for us. We are very happy with our new windows. We have noticed that the a/c does not run as much and as an added surprise there is much less outside noise. We will recommend Peter Merhige and affordable windows to anyone who is looking for their products. Replaced patio sliding pocket doors and kitchen pocket window with hurricane impact sliders with better security locks. We highly recommend this company. Peter was excellent in explaining all about the product and what to expect when replacing the older doors with newer, thicker high impact doors. They installed a molding that looks fantastic. They were efficient, courteous and timely. They were also neat in their work. We were pleasantly surprised by the reduction of outside noise. We live near a school and at pickup/drop off time cars line up along our street with their radios and motors running…now we don't hear them. Also, now it is so easy to reach over my kitchen sink and open the slider window with one finger…love it! Replaced two doors, a front door and a french door with impact resistant doors. Top notch. Peter and his office staff were knowledgeable, friendly and professional. Everything was delivered and installed on schedule. The sub-contractors who installed the doors were on time and conscientious. The installation ran into the evening and the next day I noticed a small gap between the doors that we had not noticed the night before. I called AWS and they sent a rep right out to correct it. It's nice to know affordable window systems stands behind their work. I would definitely use them again! Peter was good to work with, and he worked hard at getting the right product and price. Polusa did a great job of installation. We had some difficulty with screens, but it was resolved. I would recommend AWS to all of my neighbors. They replaced all of our windows and sliding glass doors with hurricane proof materials. The entire experience was excellent. Peter was very easy to talk with, gave good advice and worked with us on the pricing. He answered all of our questions honestly and completely. The windows and doors were delivered in a timely fashion and as promised. Polusa construction did the installation. Greg and his team were very pleasant, professional and cleaned up everything. We could not have asked for a better experience and would highly recommend affordable windows to anyone! We were very happy with the service and professionalism of this company. The windows and doors were installed when promised by a very professional crew. The quality met our expectations and we would recommend this company to anyone looking for replacement windows and doors. They enhanced the beauty of our home both inside and out. Excellent company. Had purchased a house in Southwest Florida and planned to stay during the winters. We decided to upgrade our windows since we would not be here thru most of the hurricane season. The house was built in 2006 and hand single pane "Wind rated" windows, did not want shutters. We shopped around and decided to have "Affordable Window Systems" replace them. The quality, security, hurricane safety and thermo pane construction with "Low E" coating looked to be above the rest. When the installation crew "Polusa Construction" arrived to begin I was amazed at the quality of workmanship. They were total professionals. All work was completed in a timely manner with minimal damage to structure or landscaping. Completely cleaned up all areas. I immediate noticed a drop in electric bills, and an added surprise was no outside noises. My house is a show place here, as these windows are far and above better looking than any others here. We have moved here permanently and that makes these windows more of a pleasure. Then another surprise, after 6 or so months I received a call from one of their reps to do a follow up. That's a first for me here. "Customer Service" is more than a motto for this company. Have to compliment everyone for a "Job Well Done." Proud to be a customer. Thank you for all your help in getting my windows replaced. As you know we have has 3 break-ins in the past year and were very concerned for our family's safety. You understood that time was of the essence, and your efforts to get the windows ordered and installed in a minimum amount of time speaks of your professionalism and concern for your customers. The windows are everything you claimed they would be and we couldn't be more satisfied with the product, installation and warranties. The security we now feel is due in large part to the construction of the window safety features. The installation was accomplished in one day and the crew did an excellent job. They were very careful about working around the contents of our home and were considerate of the clean up. You would never know they were here if not for the new windows. I would recommend you, your products, installation teams and overall company to anyone that would care to contact us. 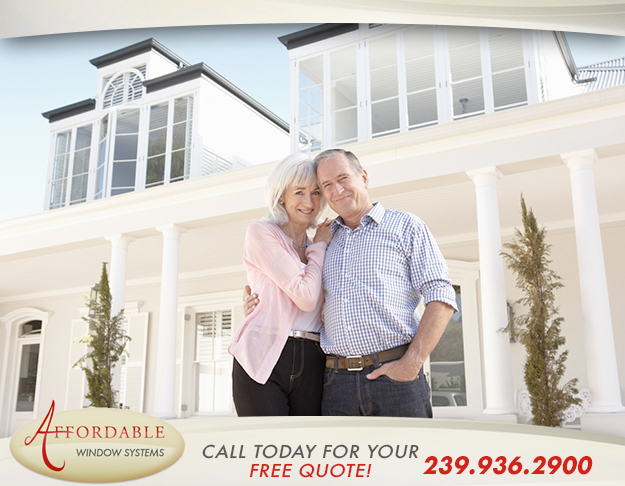 Affordable Window Systems is definitely a "Class Act". Dear Pete, - Just to let you know we are very happy with our new windows. They have made our home look so beautiful. We were so happy with the wonderful installation crew (Greg and his boys). They arrived the day after we had our condo cleaned - I thought, "oh well, I'll just clean up after they leave." Well, to our delight they had not only cleaned all the windows till they sparkled but also vacuumed all of the floors, picked up the debris outside (including in the flower beds). They were neat, polite and fast workers. After they left, we turned and looked at our home and it was beautiful. I didn't have to pick up a broom. Also, the service was great. Your office kept up to date with everything. They too were very friendly and polite. Thanks Pete, we are just sitting back and enjoying the view. We want to express our satisfaction with our new storm windows. As two retired educators, we began looking into some sort of Window Protection other than last-minute plywood. Knowing that these beautiful windows will now protect us from strong storms, provide better insulation from the sun and act as a more secure protection from intruders is very satisfying. Your installers did an excellent job on door protection, they were very professional installing the windows in one day and leaving our home spotless. The entire job was completed quickly and in a very customer friendly manner. We want to thank you and all of your staff for giving us peace of mind during the upcoming hurricane season and for many years to come! We are enjoying our new windows installed by your company this spring. What a difference!! The first thing that I noticed was how quiet our house became! We cannot hear traffic or the neighbor's A/C running all the time. Also, my furniture does not need to be dusted every other day. Your service was excellent. The installers were right there when they said they would be. They were quiet and cleaned up when they were done. From our 1st visit with you to order the windows to the last visit to check things over, we were impressed with your professional attitude. Your office staff was helpful and polite. We will recommend your company to anyone who is looking for your products.